If you are an SEO newbie, you may be wondering—what is a keyword? A keyword is any phrase you would like your site to rank for in Google's search results. 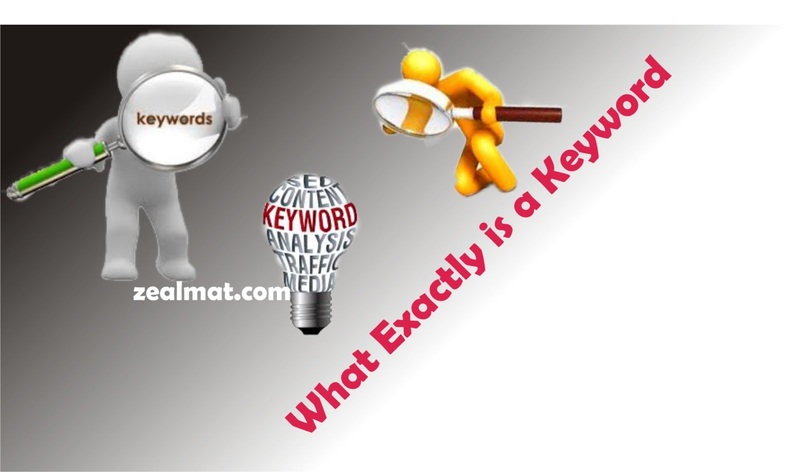 A keyword can be a single word, or a keyword can also be a combination of words. If you are trying to target a single word, lookout! You will have your work cut out for you. Single word keywords are extremely competitive, and difficult to rank highly for in the search results. Head-term keywords: keywords with one to two words, i.e. classic movies. Long-tail keywords: keywords with three or more phrases, i.e. classic Akira Kurosawa movies. Navigational keywords: keywords used to locate a particular brand or website. Examples would be Facebook, YouTube or Gmail. Transactional keywords: keywords entered into Google by customers wanting to complete a commercial action, i.e. buy jackets online. In most cases, targeting head-term or navigational keywords for other brands is competitive and not worth the time or effort. Despite their high traffic numbers, they will generally not lead to any sales. On the other hand, long-tail, informational and transactional keywords are good keywords for most SEO projects. They will lead to more customers.